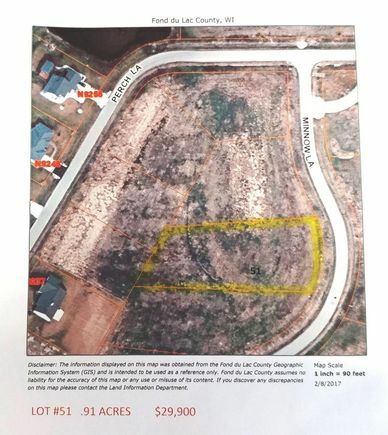 Almost an Acre! Fisherman's Estates subdivision! Boat launch located at the end of Fisherman's Road. Underground utilities. Sewer available at lot line. Well not included. Waste available to site = Lateral. Hwy 151 North to Fisherman's Rd., West towards the lake to Walleye Dr., Right to Sturgeon St., Left to Minnow Ln., Right to lot. The details on MINNOW LANE: This land located in Taycheedah, WI 54937 is currently for sale for $29,900. MINNOW LANE is a – square foot land with – beds and – baths that has been on Estately for 254 days. This land is in the attendance area of New Holstein Middle School, New Holstein High School, and New Holstein Elementary School.